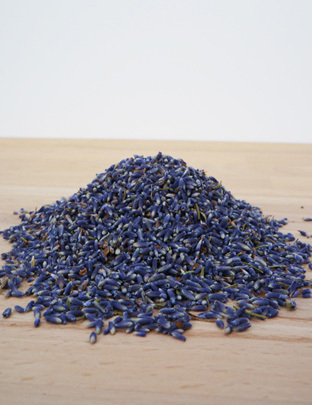 A bag of lavender grains. Ideal for potpourri and lavender bags. Produced at Downderry. Sold in a cellophane bag. Approximate weight: 100g.